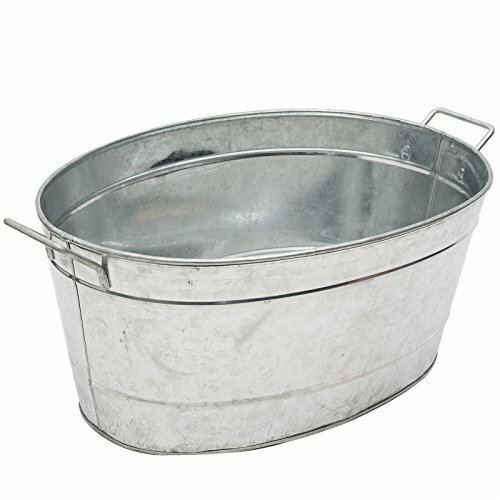 These are the old-fashioned tubs ubiquitous on every farm because they have a thousand and one uses. Reminiscent of dairy cows and general stores they give even the most urban garden a rustic country charm. 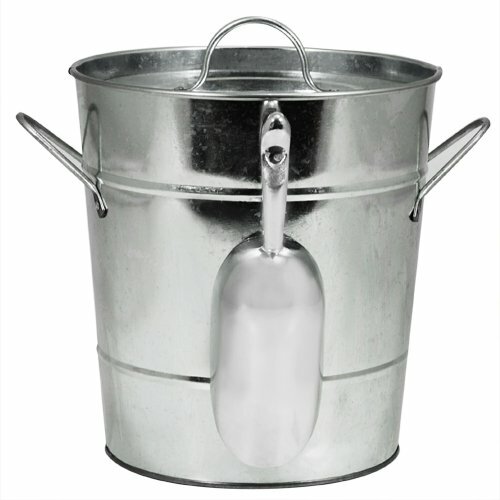 Fill with ice for chilling beverages in the summer, use to hold firewood in the winter, grow a container vegetable garden …the list goes on! Drainage holes should be drilled for direct planting. All have two side handles. Use them with Wrought Iron Stands, and Folding Floor Stands. 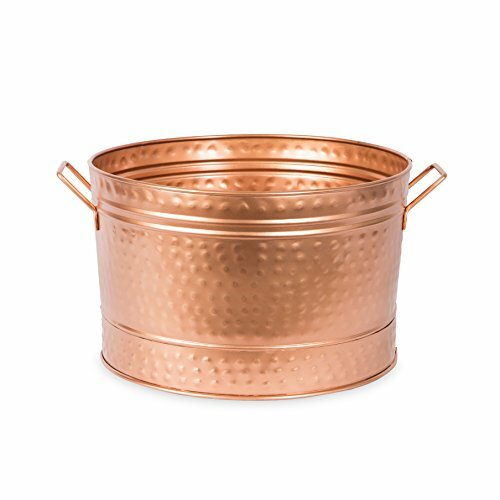 These Copper Plated Hammered Tubs are the classic old-fashioned farm tub shapes in a warm copper finish. 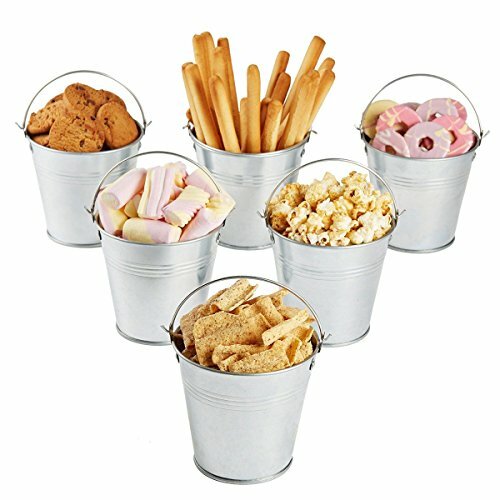 Reminiscent of old general stores these tubs give even the most urban garden a rustic charm. Fill with ice for chilling beverages in the summer, use to hold firewood in the winter, grow a container vegetable garden...the list goes on! Drainage holes should be drilled for direct planting. All have two side handles. Use them with Round and Oval Wrought Iron Stands and Folding Floor Stands. The Embossed Tubs have a scalloped design, embossed with a pattern of leaves and flowers. With a vintage style, in both Galvanized and Copper Plated finish. Both have two folding side handles and can be used with Folding Tabletop or Floor Stand. 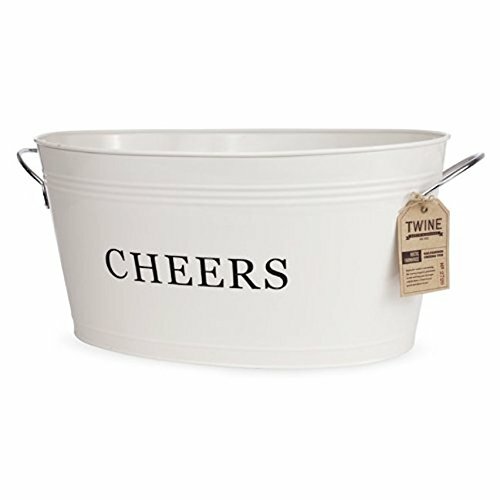 The lower height makes it a perfect beverage tub for a patio party. 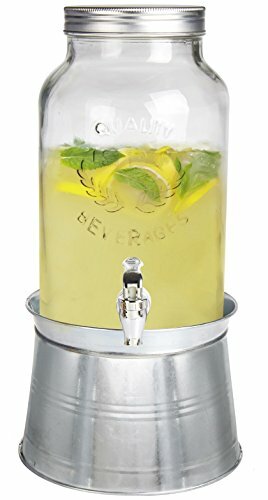 Ensure your backyard summer barbeque is the talk of the season by adding this unique, high-style ice bucket to the party! Raised on four sturdy, steel-frame legs for easy access, the rattan wicker accessory comes complete with a tin bucket, which sits within the woven interior to hold ice and ice cold beverages. 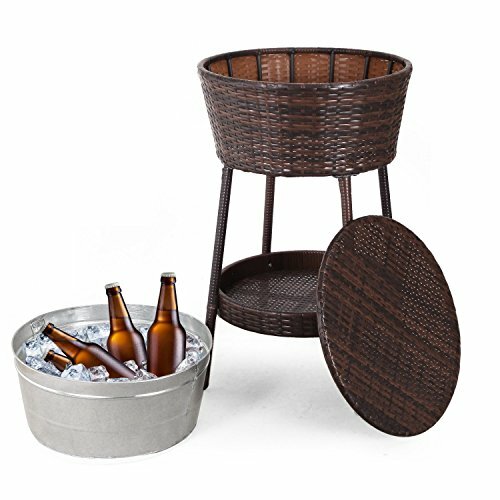 A simple, matching wicker lid keeps things cool, while an additional tray below holds scoops, glasses, and other outdoor party essentials. Never deal with a warm soda again - this stylish piece works for you, and looks great doing it. 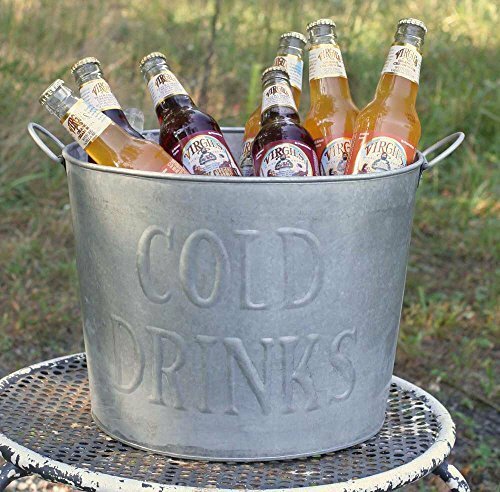 Wonderful Galvanized Embossed Classic Cold Drinks Tub with Handles Grab a bag of ice and drinks and add character to any event. This item measures 13" diameter, 15" long including handles, and 10½" tall. Reads "Cold Drinks." Drinks NOT included. A perfect tub that will fit anywhere. Large enough to hold a good supply of bottles or cans, and small enough to use inside or out. Just right for your country, rustic, primitive, industrial, shabby chic, modern, or farm home. Use it for receptions, weddings, and graduation parties, and for anytime you have friends over. You will use this tub a lot! Makes a great gift as well. 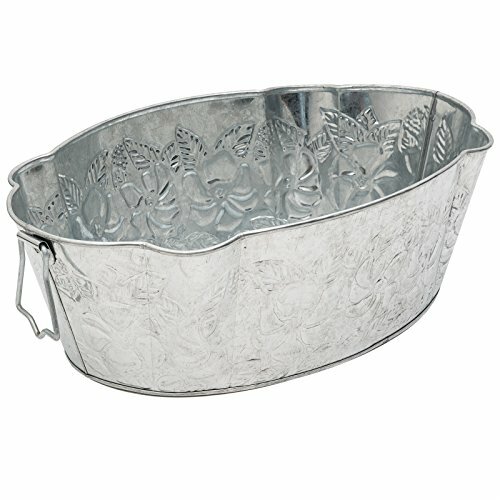 Looking for more Tin Ice Buckets similar ideas? Try to explore these searches: Avery Rainbow Pack, Poly New 1 Piece, and Nose Ring Hoops.